You may have hiked North Carolina’s magnificent mountains or vacationed where horses run wild on the coast. 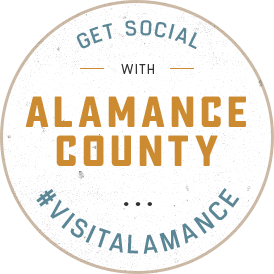 Now, take some time to veer off the beaten path and explore Alamance County. Tucked between the mountains and the coast, our towns and villages offer small surprises at every turn. Whether it’s an adventurous weekend away or a visit to simpler times, we have something for everyone.